I recently taught this at my Greek class. We made small pies as they don’t take as long to make. 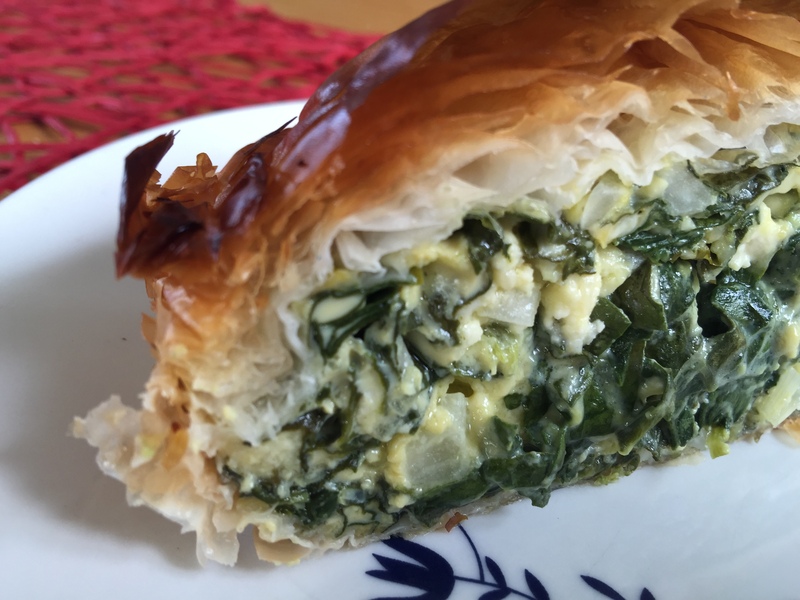 This recipe works just as well for one big pie – layer your dish with filo, fill it and then cover with several more layers (butter/olive oil in between). The pics are from one I made at home with the same recipe. Enjoy. 1 bunch spinach, washed and leaves removed from the stem and finely sliced. Wash and prepare spinach and finely slice. Place in a bowl. At this stage you should have a nice spoonable mixture to place on your filo pastry. Take a spoonful of your spinach mixture and place it at the bottom left corner of your filo strip. Fold the left corner over the mixture.Then take the right corner and fold upwards. Repeat until you have folded into a neat triangle. Brush with olive oil and set on a baking paper lined tray. Bakel at 180°C for 12-15 minutes until golden brown. 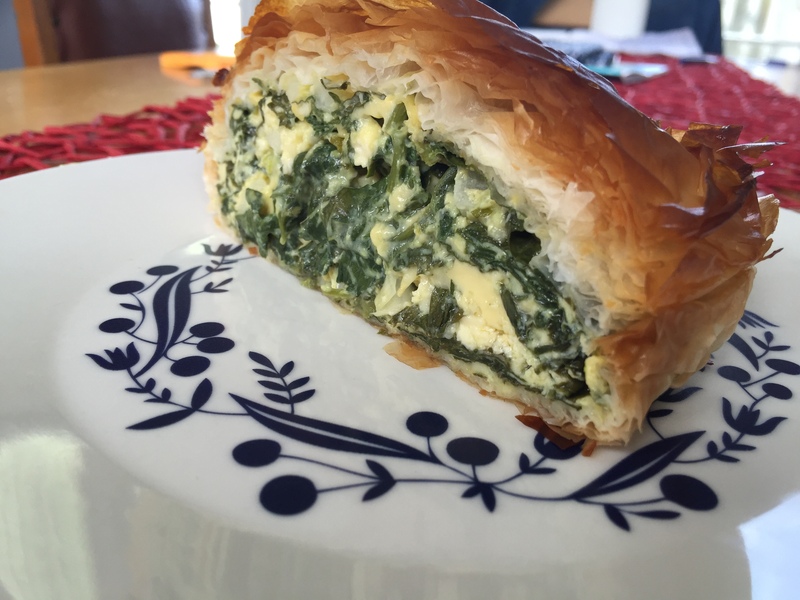 Serve with a greek salad and tzatziki.